Hillary Clinton’s health in context…. The 2016 US Presidential election has taken a new turn and asks the voter a new, unexpected question; Is Donald Trump, himself borderline obese, better placed to handle the rigours of the job than a coughing and wheezing Hillary Clinton? Whilst we await the outcome there can be no surprise that the Trump camp are looking to garner as much information on Clinton’s health and suitability for the job as they possibly can. The Republican Party have history when it comes to seeking out medical records designed to inflict maximum damage on their Democrat counterpart and the fiercely contested Presidential race of 1960 between Richard Nixon and John F. Kennedy was a fine example. Kennedy was, by the end of his life, a walking medicine pill box. Had the public known the full extent of his medical history and the copious amounts of painkillers he took to mask his problems then his victory over Nixon, an incredibly close one, may well have seen a much different outcome. Despite the drips of information coming out about his health, Kennedy managed to conceal his problems and fight a long and hard campaign as well as his term of office. We know from later released medical records that he was in poor health and one of his physicians, Dr Janet Travell recorded that in his first few months as President he was treated for colon, prostrate and stomach problems, fatigue, chronic back pain, high cholesterol, fevers and sleep deprivation. Whilst Trump had to wait for Clinton to collapse in public last week, Nixon wasted no such time and it is alleged he organised for the theft of Kennedy’s medical records during the campaign when it was known Kennedy was suffering from Addison’s Disease. Two such attempts were made including the attempted break-in of Travell’s office but the codenames used for Kennedy thwarted the would-be thieves who remain untraced but highly likely employees of Nixon’s inner circle. We now know of course that much of Kennedy’s ailments began at an early age, he was a sickly child whose school and college days were hampered by intestinal problems and infections. Addison’s Disease required routine steroid treatment along with medicine to combat a urinary tract problem caused by an untreated venereal disease, the curse of womanisers the world over. Kennedy was the unofficial President of Womanisers. 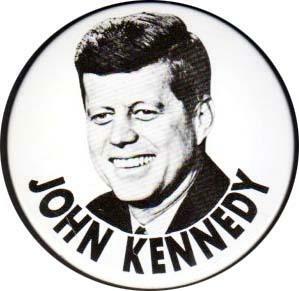 So as the American media question Clinton’s suitability they might do well to consider the nations beloved JFK. A man who took us to the brink of mutually assured destruction whilst popping pills for ‘constant and acute diarrhoea’, an infection of his urinary tract, antihistamines for food allergies, salt tablets for Addison’s Disease, regular testosterone injections, antispasmodics for colitis, hydrocortisone, penicillin and anti-psychotic medication to relieve anxiety. Quite how he had the strength to conduct the dozens of extra-marital affairs one can but wonder. The bitter irony of it all was the truss he wore to relieve his chronic back pain, had he not been wearing that in Dallas he would not have stayed upright for the final, fatal shot. The reality of Kennedy’s presidency was that he was kept upright by all means possible, a far cry from the healthy, all-American he and his team presented to a gullible and still, to this day, devoted public. Clinton, of whom I am no fan has some way to go yet before she reaches the lofty heights of Jack’s medicine cabinet.